In recognition of January as Human Trafficking Awareness Month, Innocents at Risk will host a reception & film screening of SOLD at The George Town Club. Wharton Club Members & Guests Invited. 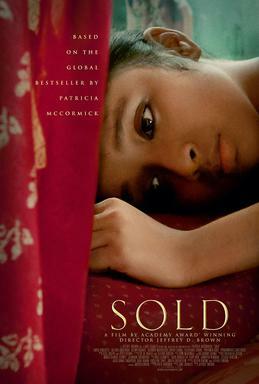 Based on Patricia McCormick's novel Sold, about a 14-year old Indian girl's risking her life to escape the brothel to which she was sold, the film was executive produced by Emma Thompson and produced by Jane Charles. The script was written by Joseph Kwong and Jeffrey D. Brown. The movie won several awards at various film festivals for its portrayal of the hideous realities of sexual trafficking, estimated to be a US$150 Billion industry worldwide.